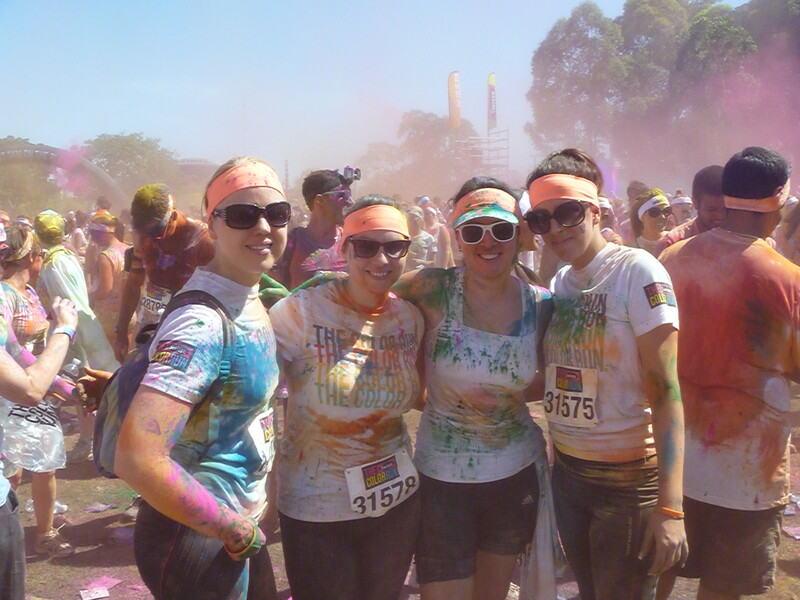 That’s the Swisse Color Run Australia. 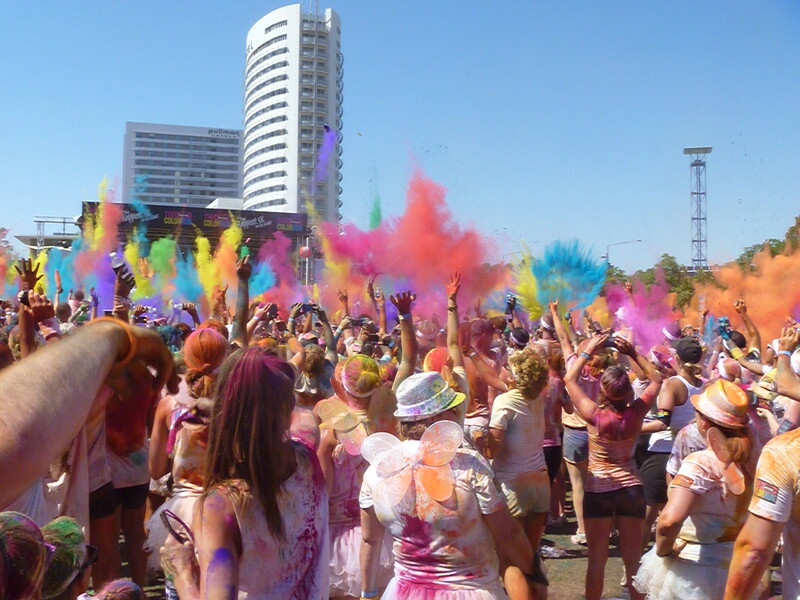 It’s a 5km charity fun run in which you have to wear white and you run through colour sections where people spray you with colour powder. Then at the finish there’s a big party and colour fight! Much mess and fun was had. In honour of my colour run weekend, I decided to bake something colourful to go with it, so I made these cute little coloured layer cakes. Step 1 – Prepare the vanilla cake mix as directed, then divide the mixture into 3 equal parts. 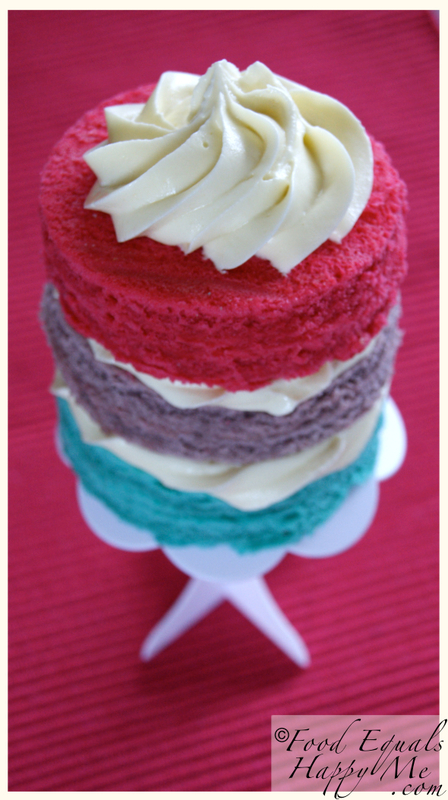 Using whatever colours you prefer (for these ones I used blue, purple and pink) colour each of the cake mix portions. Pour into 20cm cake pans lined with baking paper and bake as directed. Leave to cool completely. Step 2 – To make the buttercream frosting, whip the softened butter in an electric mixer for 5mins or until creamy and pale in colour. Add the icing sugar and beat for a further 7mins or until the mix is smooth and creamy. Place the buttercream in a piping bag with a large star tip. Step 3 – Using a round cookie cutter cut out circles from the cooled cakes, you should get 4 from each one to make 4 complete layer cakes. 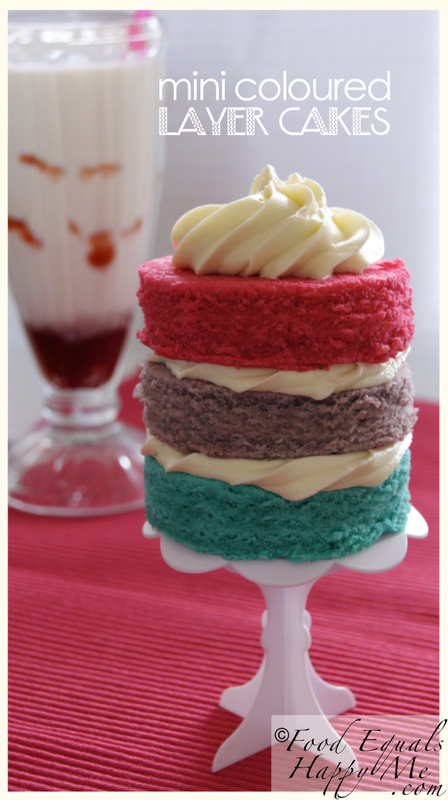 To assemble the cakes put a little of the strawberry jam and buttercream in between each layer, and then finish with a decorative swirl of buttercream on the top.